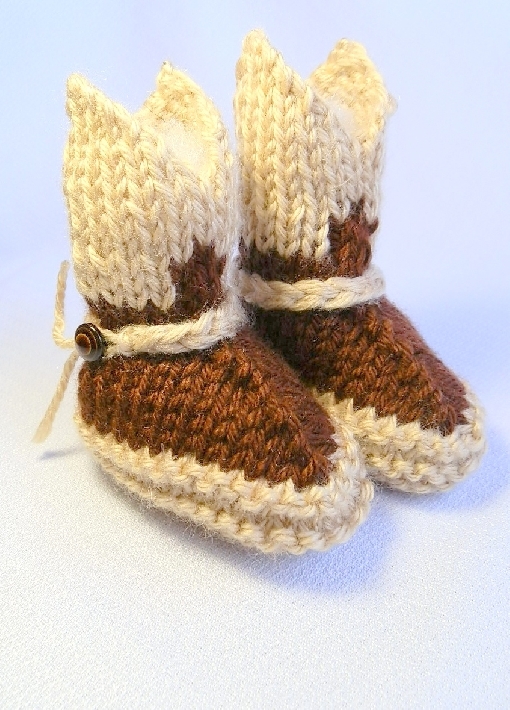 This is a knitting pattern to produce new born size baby booties that look like cowboy boots. It is in .pdf format, and is written in easy-to-follow language. This pattern comes complete with 12 full color photos to guide you every step of the way. 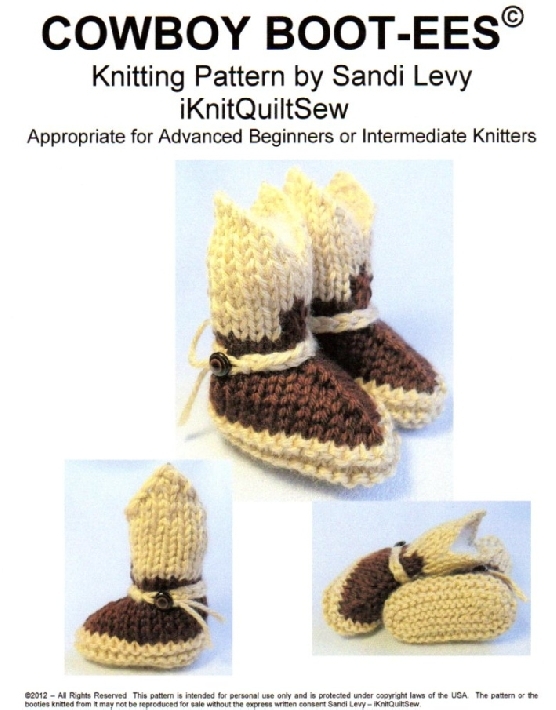 The pattern is suitable for advanced beginners or intermediate knitters. 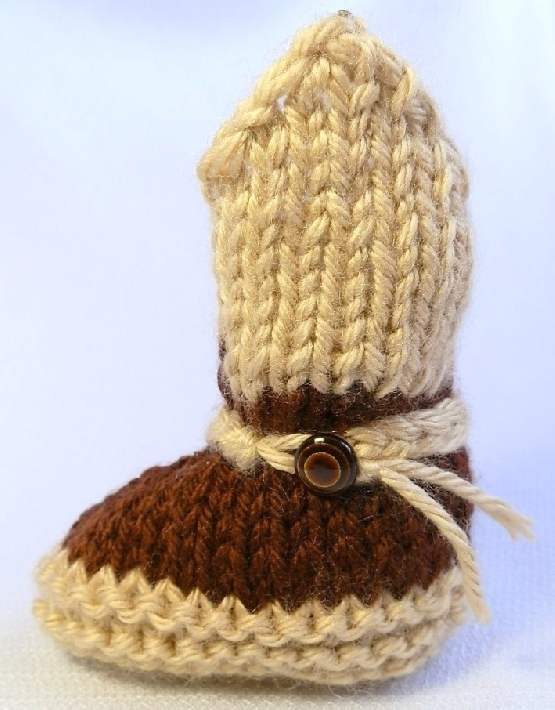 Booties that look like cowboy boots made of yarn are so adorable! If you crochet, directions to make these are everywhere. But if you knit, directions are hard to find. As a result of a request from a friend to make these for her to give as a gift, I've written this pattern, which I named Cowboy Boot-ees©. The pattern consists of the results of hours and hours of trial and error on my part, to make your experience using it a joy! 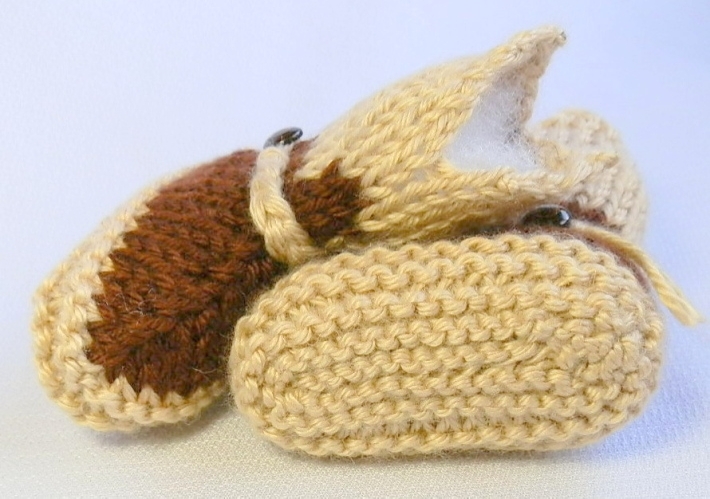 This pattern is sized for newborns to 3-month-old babies. 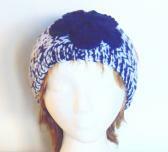 Directions for other sizes are included at the end of the pattern. 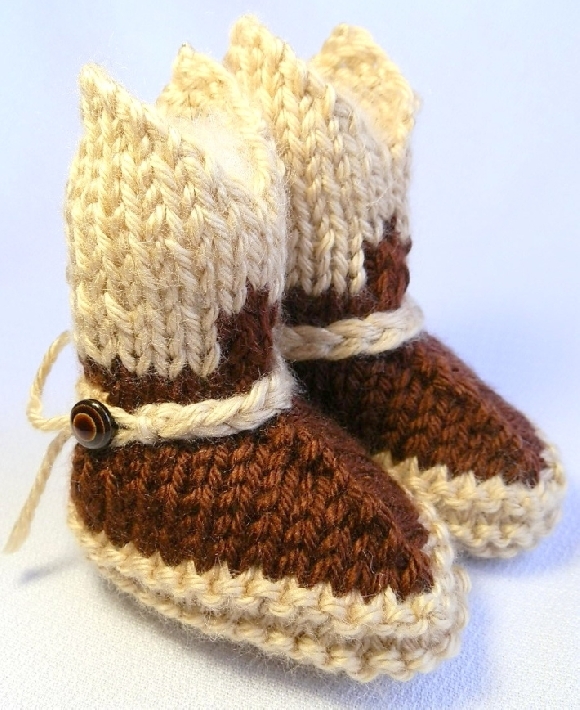 If you are not a knitter, and would like me to knit you a pair of these, please let me know! Custom orders are welcome at iKnitQuiltSew!